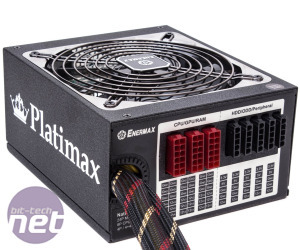 At £139, the Enermax Platimax 750W is the most expensive power supply in this round-up, marginally dearer than Be Quiet!'s. 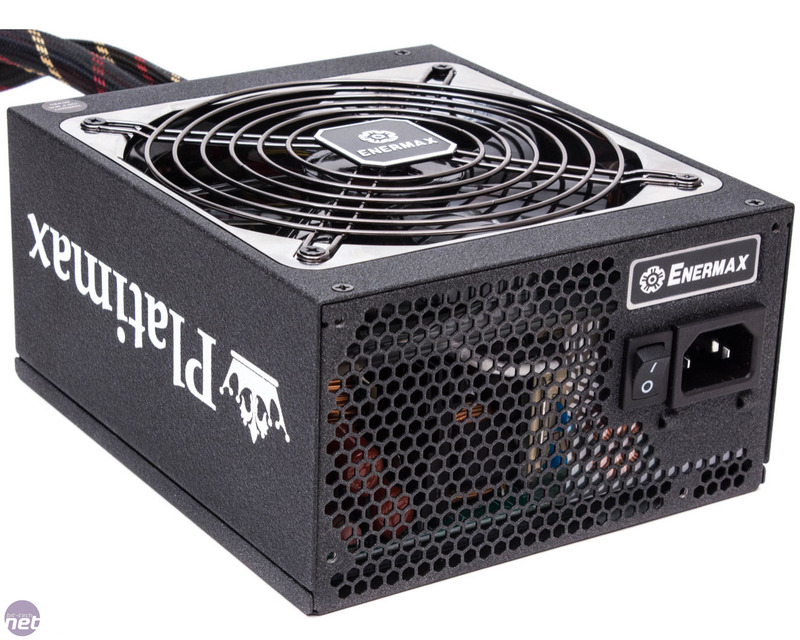 It is, however, the only one on test with an 80 Plus Platinum certification, which should mean it's an extremely efficient PSU. It comes equipped with a 140mm intake fan behind its fan grille. The thick, matte material is finished in an attractive charcoal grey, and the logo and colour coded cable plugs are nice additions to the aesthetic too. A single 8-pin and a 4+4 pin CPU connector are part of the captive cable set along with the motherboard cable, so you'll likely have at least one unused connection here. The entire set of cables is braided nicely, and there's plenty of connections to utilise. 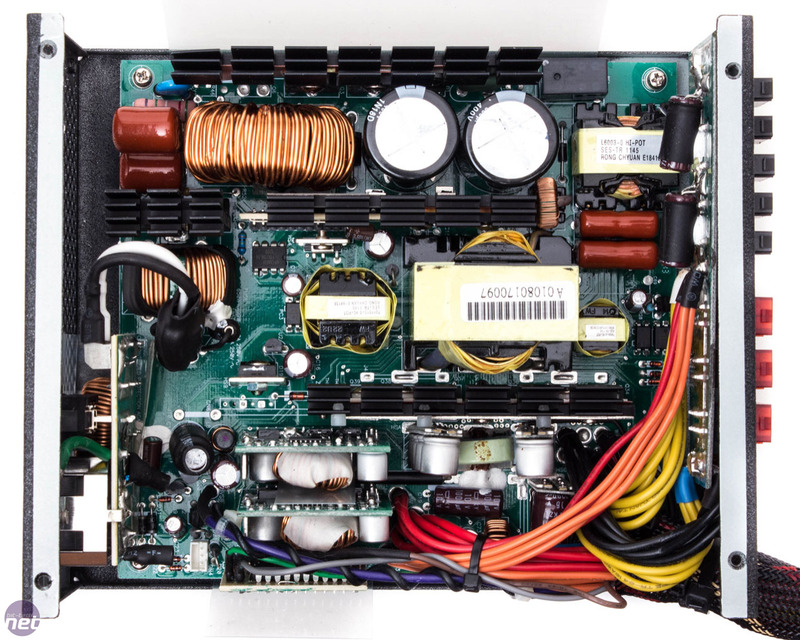 The standard four 6+2 pin PCIe connectors are joined by eight molex and a whopping twelve SATA plugs, more than any other on test. Cable ties are provided, but sadly the 49cm PCIe cables and 58cm CPU cables are both shorter than those of the other PSUs, so proper cable management in large chassis might be a little tricky. The Enermax Platimax 750W employs four +12V rails that can each supply up to 25A, and 744W in total can be delivered on these rails. A nice addition are labels for the modular plugs let you see which of the rails they utilise, enabling you to split the workload across them. Voltage stability is never an issue with the Platimax 750, as even at 700W of load the +12V rails drop to just 11.88V, which is very good. Performance on the +5V rail is also spot on, and though the +3.3V rail is a little lower than it could be, it's still perfectly stable and nothing worth worrying about. While the Enermax PSU is undoubtedly very efficient, three Gold rated power supplies actually come out better in this department. Its average efficiency is 90.32 percent, with a peak efficiency of 91.71 percent in the 600W load test, in which it came out on top. It's important to remember that our load balances and test conditions are different to those of the 80 Plus testing, which helps account for the differences. In terms of ripple values, the Platimax 750W is outstanding. The ripple it exhibits ranges from 41.2mV under 200W of load to just 52.6mV in the demanding 700W test, in which it has the best result. Fractal's PSU does beat it in the rest of the load tests, however, but whatever way you look at it, ripple values consistently below 55mV are excellent to see. 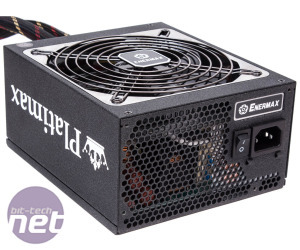 Under no load, Enermax's PSU consumes a miniscule 0.11W, so no complaints there. While it's not a semi-passive PSU like three of the others in the group, it's still so quiet as to be impossible to hear. From just 10cm away we see a noise level of 22.1 dB(A) under a heavy 500W of load, which is inaudible at any normal listening distance. 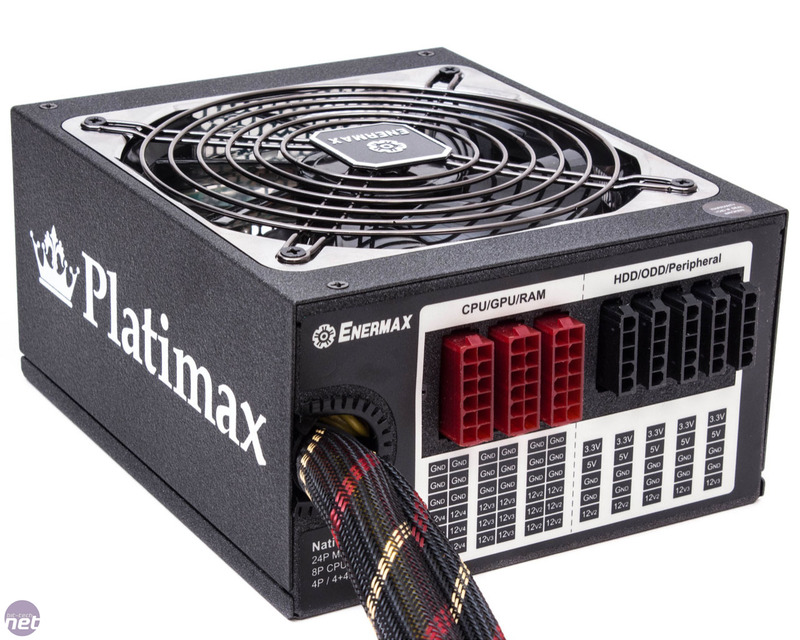 The Platimax 750W is truly an excellent power supply, and its performance in the three major pillars of PSU performance, namely voltage stability, efficiency and ripple, is hard to fault. However, like Be Quiet! 's PSU, it's still too difficult to recommend because of its price. 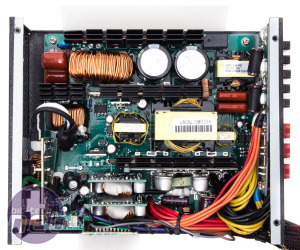 Even with its great performance, robust feature set and low noise levels, it doesn't distinguish itself enough from the PSUs of Seasonic and XFX, for example, which are both more affordable.